This is a broadly pyramidal tree. 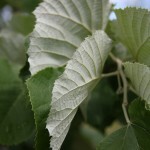 The glossy leaves have dark green on top with silvery-white underneath, giving it a shimmering effect with each breeze. The early summer blooms are fragrant, showy and attrative to bees. The fall color is a clean yellow, contrasting with the white underside of the leaf. 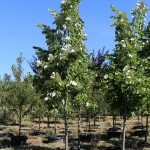 It is tolerant of heat, drought and urban conditions. It prefers full sun and a well-drained soil. 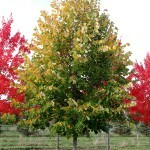 Useful as a shade tree, in the lawn or as a street tree.